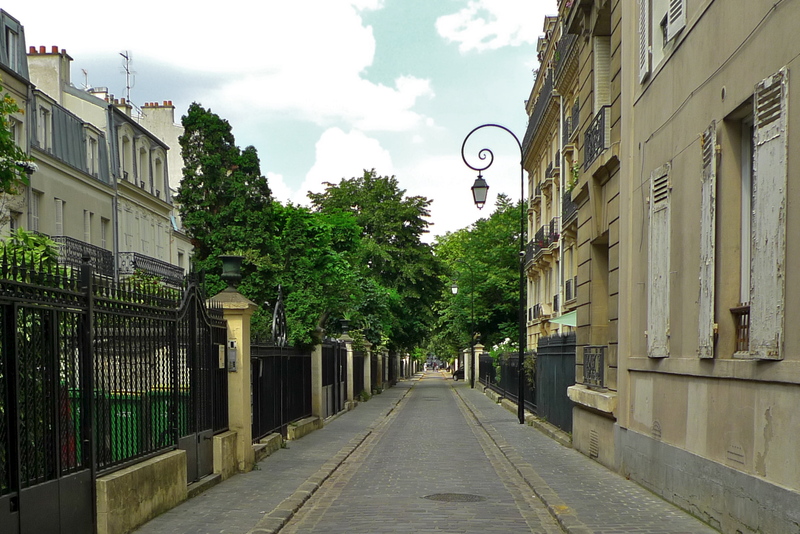 HIDDEN AWAY IN THE 17th Arrondissement with the rue Guy Môquet at one end and the rue de la Jonquière at the other is the Cité des Fleurs. 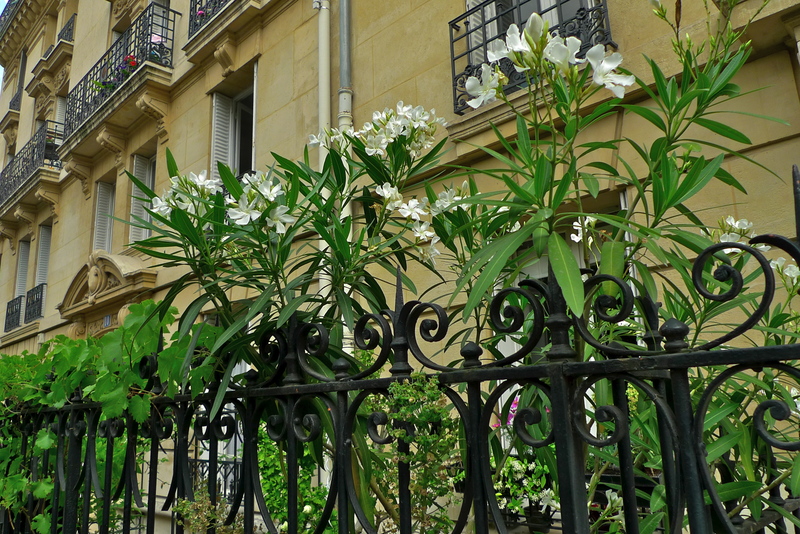 A private street, three hundred and twenty metres long with iron gates at each end, the Cité des Fleurs is a beguiling village within the city. It was created in 1847 when a parcel of land owned by Jean-Edmé Lhenry and Adolphe Bacqueville de la Vasserie was divided into equal lots. Each lot was sold for housing but to a very strict building code. Every detail was set out in this building code – the alignment of the facades, the height of the buildings, the height of the walls, the details of the gardens, including at least three trees in every garden and even a specification for the ornamental vases on the gateposts and what could be planted in them. 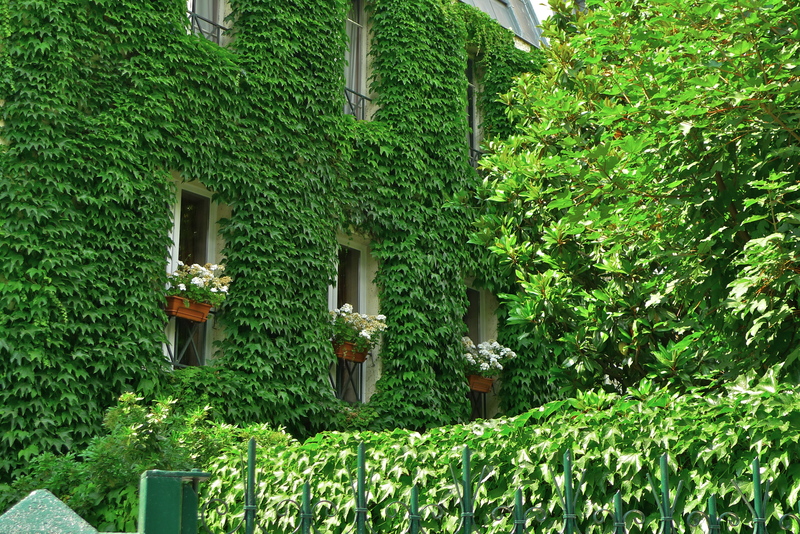 Like so many places in Paris the Cité des Fleurs has a gruesome historical connection. A plaque on the gate of N°25 says it all. During the second world war, N°25 was a base for network Plutus, part of the MLN, Mouvement de Libération Nationale, responsible for producing false papers for the French Résistance. On the 18th May 1944, N°25 was raided by the Gestapo. 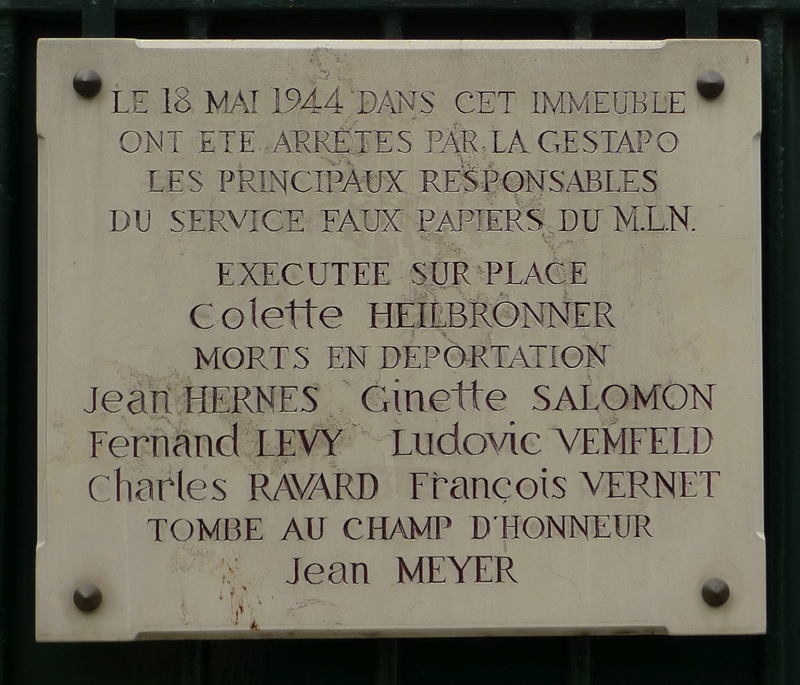 Colette Heilbronner, the leader of the Résistance group, was executed on the spot. The other members of the group were deported and subsequently killed. 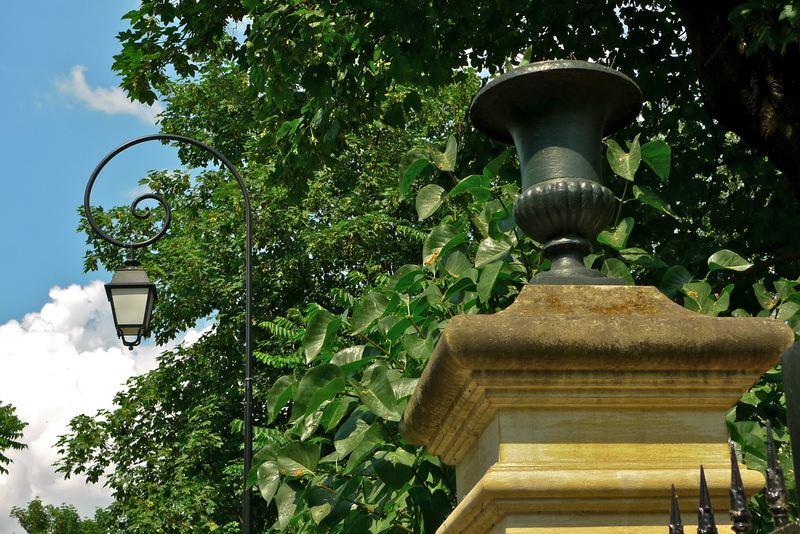 On a lighter note, the regulations governing the Cité des Fleurs dating from 1864 declares that public traffic on the street was tolerated but could be prohibited at any time and for as long as it was deemed to be in the interest of the community. How enlightened was that!